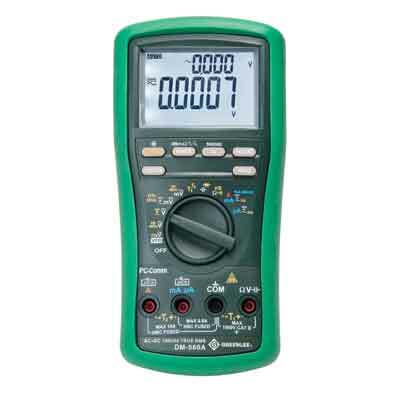 With the introduction of the CMT-90 Auto-function True RMS electrical tester from Greenlee, electrical workers have yet another reason to buy Greenlee. The new CMT-90 is a robust tester with mass electrical appeal. The CMT-90 builds on the success of auto-function technology. It’s capable of measuring AC and DC voltage, AC current, resistance and verifying continuity– all without having to use a selector dial. 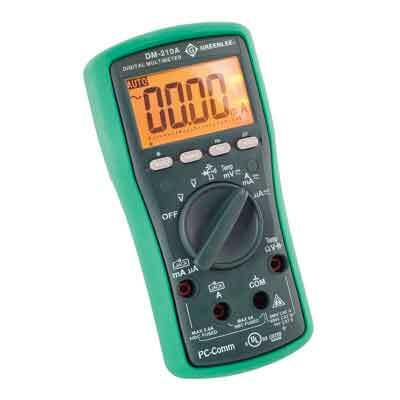 However, in order to be used in all electrical environments, Greenlee’s CMT-90 has True RMS function. The True RMS function provides greater measurement versatility. Beyond the True RMS, Greenlee’s CMT-90 has an auto-illuminating function, so as the lighting within a work space dims, the backlight on the CMT-90 automatically illuminates. The electrical worker can focus on the task at hand and not be distracted with having to push a button or change the selector dial to a different function. 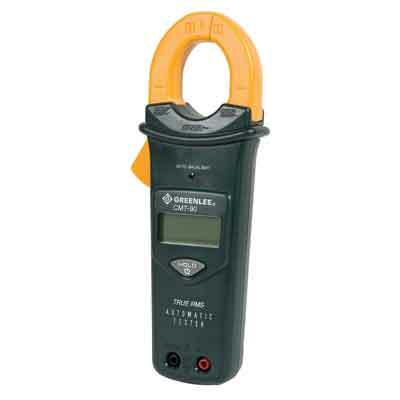 - Hassle free, automatic measurement of amperage, voltage and resistance. - True RMS for the most accurate measurement when harmonics are present. - Easy viewing, auto-illuminating backlit display. - Auto Off for longer battery life. - Data hold to capture measurements. - 10,000 count LCD for high resolution. - Beep-Jack™ audible and visible warning to guard against improper A and mA terminal plug in. - High visibility 6000 count LCD display. - PC interface capability using optional USB RS-232 cable with data recording PC software. - Capacitance and temperature measurement capability. - AutoCHECK ™ feature provides automatic selection of AC volts, DC volts, or resistance with low impedance for ghost-voltage elimination. 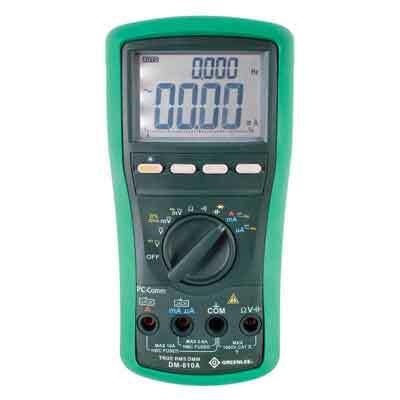 Can't review the multimeter because I haven't received it. I order it on 7/15/16, today's date is 7/25/16. - High visibility 10000 count LCD dual digital display. - Intelligent auto-power off, display backlight, analog bar graph. - Non-contact and single probe voltage detection. 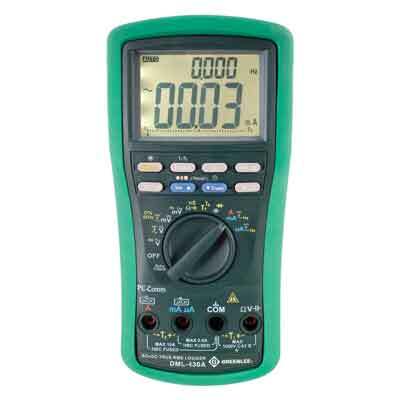 - AC+DC True RMS, 50,000-count dual display for greater accuracy. 500,000 count available in DC voltage mode. - VFD (variable frequency drive) voltage and frequency functions for accurate readings on noisy drive waveforms. - Beep-Jack™ audible and visual input alert helps avoid blown fuses or damage to meter. - 41-segment analog bar graph makes it easy to view changes. - Record max, min, avg, and max-min and data hold. - Crest capture (peak hold) max and min readings. - Relative offset display mode makes monitoring relative measurement changes simple. 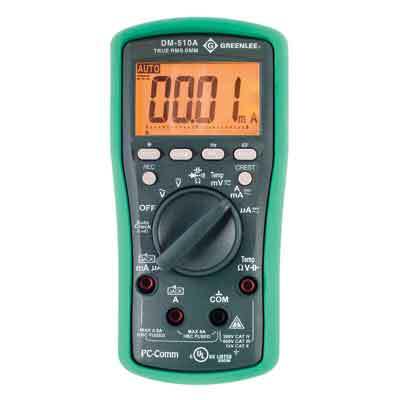 - Performs resistance, conductance, frequency, duty cycle, temperature and capacitance measurements, plus diode and continuity tests. - Dual temperature measurement up to 1832°F/1000°C using type K thermocouples. - Bright, backlit display is easy to read under any light condition. - Intelligent Power Off conserves battery life but will not turn off during measurements. - Wide AC bandwidth – to 100 kHz for voltage and 20 kHz for current. - Accessories included: (1) 9V battery, bead temperature probe (400°F/ 204°C max. ), test leads, protective boot, carrying case. - Capacitance & dual-input temperature measurement capability. - Autocheck feature provides selection of AC volts, DC volts or resistance with low impedance for ghost voltage elimination. - Data Logging Capability: 87,000 points stored single channel, 43,000 points stored dual channel.